Sri Lanka's ODI Captain and legendary fast bowler, Lasith Malinga has made it official that he will call it a day on his International career after the 2020 ICC T20 World Cup. He had made this statement yesterday (22) during a press briefing held after the conclusion of the second test match between Sri Lanka and South Africa. 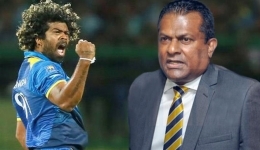 On a prior occasion Malinga had stated that he would bid farewell to the one day internationals after the World Cup tournament to be held in England. Malinga will be playing for Sri Lanka for the World Cup matches in England and as such has been ruled out of the first 6 matches of the 2019 season of the Indian Premier League. At 35 years, Malinga has participated in 218 ODIs and taken 322 wickets. In the Twenty20 format he has played 72 matches and taken 97 wickets. Having said that, Lasith Malinga has informed that he will continue representing Sri Lanka in the T20I format.